The composition of the alloy Invar 36 is one of the best among similar materials on indicators of CTE. Iron is the main constituent material. Part of the rental includes Nickel 35 — 37%. Quality circle, rod, wire, Invar 36 corresponds to the European standards of production. This ensures the dimensional stability of rolled within the extremes of climatic temperatures. Supplier of precision alloy is certified products. Technical documentation has all the information regarding the chemical composition, percentage of impurities and mechanical properties of precision sheets. We can buy any precision alloy at a reasonable price. You will be satisfied with the quality and price of precision alloys. For wholesale buyers we offer precision alloy with discount discount. 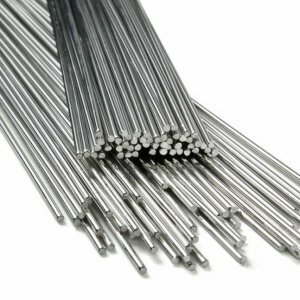 Precision circle, rod, wire Invar 36® from the supplier Electrocentury-steel can be purchased wholesale or retail. On the website reflected the price and mix of products to date. Excellent product quality and reasonable price — face provider Electrocentury-steel. Regular customers can buy precision rentals, using a discount system of discounts from the company Electrocentury-steel. Delivery is carried out from warehouses located in Russia and Ukraine.